Bin Laden Kill Video Re-Editing, A Pakistani Military Asset Destroyed? The White House keeps revising its story of what took place in the Abbottabad compound after having achieved its psi-ops propaganda of earlier in the week that was liberally propagated across the mainstream press in a stream of headlines that have subsequently apparently turned out to prove false. 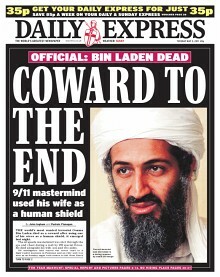 All false, now apparently there was no shootout, no 40 minute gun battle, no Bin Laden armed with an AK 47 using his wife as a human shield, instead now he was un-armed when shot, though this is subject to further revision by the CIA as the footage of the assault on the compound is still in the process of being edited. Obama and his white house staff watched the whole show from start to finish as the Terror Czar John Brennan claimed that they “had real-time visibility into the progress of the operation.” But not now, due to an apparent 'technical' 25 minute break in video from when the U.S. special forces entered the compound building, up until Bin Laden's death. If this is true then the big question is exactly what were they all watching in the below photo, the Royal Wedding, Simpson's ? Buried at Sea? 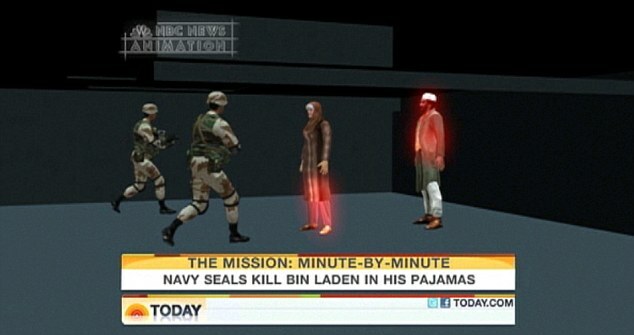 The Water boarding of Bin Laden's Body? Do you really believe the propaganda that he was buried at sea and that no photos of his dead body will be released because they are too gruesome ? Remember the WHOLE Iraq War was undertaken on the basis of LIES, Lie after Lie after Lie, Remember Donald "Big Fat Liar" Rumsfeld and his locations for the weapons of mass destruction in Iraq. 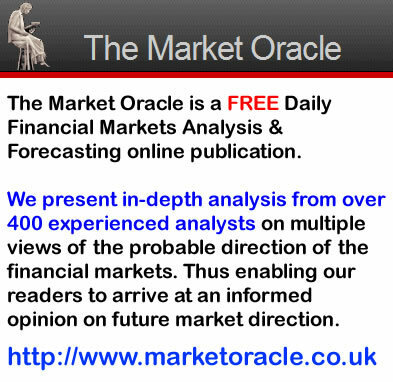 Whatever the actual facts are, one thing is highly probable and that is that Bin Laden was NOT buried at sea! 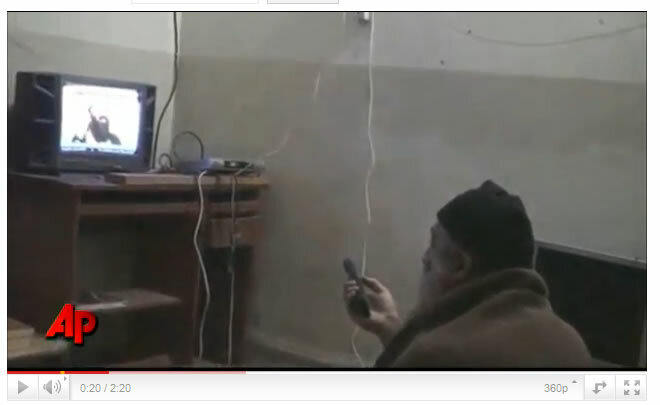 Saturday saw the CIA release 5 videos that were said to be of Bin Laden, all without sound, the most notable of which was one of an supposedly old Bin Laden watching Bin Laden on Aljazeera. Though he never turns around to look at the camera, the video comes across more as a tantalising trailer for a movie. I'll let you decide after watching the video. Was Bin Laden a Pakistani Military Asset? There has been much chatter that Bin Laden was protected by elements of Pakistani Military Intelligence, which given the apparent fact that he has been sat in Pakistan for near 10 years is probably true, because Bin Laden (as a consequence of his ability to mobilise insurgencies) has clearly been classed as a military asset in Pakistan's arsenal of weaponry in case of a war with India (which the country is paranoid about), where in the event of an Indian invasion of Pakistan (given India's far superior conventional forces) would be used to organise an insurgency Iraq style against Indian occupation. In which respect even the whole of Afghanistan has been seen as a fall back position from where in a worst case scenario Pakistan would fight back from and repel an invading Indian army out of North Pakistan, hence the support for the Taliban, unfortunately for Pakistan, the fundamentalist ideology of the Taliban has continued to evolve and now reached a point which includes the over throw of the Pakistani Regime. Whilst the west continues to perpetuate the illusion of freedom and democracy despite the fact that we are all ruled by some 4000 oligarchs, bankster's, and ceo's that utilise the assets that they own to perpetuate their rule, namely the politicians and mainstream press with the intelligence agencies tasked with reinforcing this overlord system of governance through the use of Bin Laden style Psi-ops, to be able to effect this we can treat the mainstream press and intelligence agencies as more or less the same entity as the whole Bin Laden story illustrates. 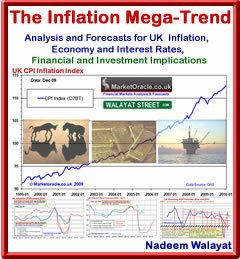 The facts are that the UK Sunday Times Rich List saw the wealth of the 1000 richest people in Britain increase by 18% over the past year whilst ordinary people have seen the purchasing power of their earnings shrink by an average of 3%, a lot of smoke and mirrors have to be utilised by these 1000 ruling Oligarch's to ensure that the masses do not revolt but instead are forced to pay higher taxes and have their savings inflated away as the super rich Oligarchs DO NOT pay the same rate of tax and evade the consequences of inflation stealth tax by means of central banks funneling cash through various means into their back pockets such as the inflating of stock prices by 100% in 2 years, and the situation is even worse in the United States. 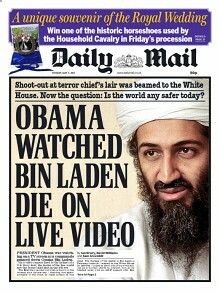 08 May 11, 11:33 Bin Laden: Dead Or Alive? You Decide! Hmmmmm.......I just can't get over my gut feeling that this whole episode of Osama Bin Laden's demise may have been staged. More to the point, I don't suppose that one of the Navy Seals could have used some kind of stun ammunition to incapacitate Bin Laden (rather than simply kill him). That way, no one would have been the wiser. If that had proven to be the case, then the U.S. government wouldn't have to face off with some high profile defense attornies from the States banging the drums to get their client out of the gulag. Can you imagine the scenario that would ultimately unfold? 08 May 11, 13:18 osama? I find it hard to swallow that the image in the vidoe is Osama. It's all a little to vague and besides, Osama is left handed. Why would he be holding the clicker with his right hand. Some people might say, well you're not supposed to do dirty things with your left hand so that's why he's using his right for the clicker. But if that's true then why would he be playing with his beard with his left hand ! This all doesn't smell right. 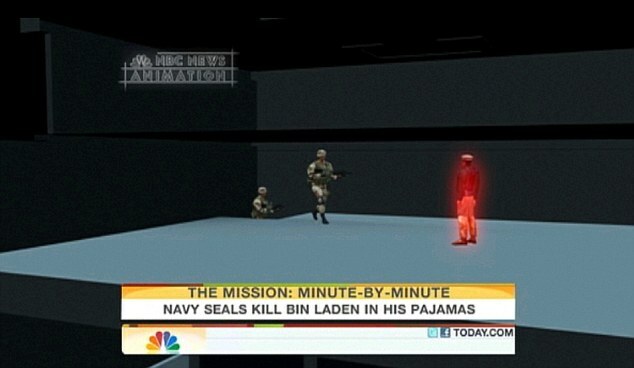 09 May 11, 16:03 Bin Laden Kill Video Re-Editing, A Pakistani Military Asset Destroyed? The real issue is setting up people for the Patriot card. So you lead them down the path to austerity not wanting them to be upset when the gravy train at the same time is sent to Boeing, Halaburton, Blackwater, etc. It's all just a sham to confuse people. Have them wave the Flag while continuing to pick their pockets! !